While it might be thought all such work is fictional, there is another type, such as elite descriptions of the U.S.’s conduct of foreign affairs, presented in the mass media, which might be truly designated nonfiction alternative history. This material, which describes, for example, the war in Afghanistan, has little to do with what actually takes place, substituting air-brushed or blacked-out chronologies for reality. Similar distorted histories occur in leftist accounts, most pronounced from the 1920s into the 1950s, when many on the left were enamored of the Soviet Union through imaginary reports of how rosy things were under Stalin. Also, with uncritical support of other authoritarian communist states like China, and Cuba to this day. The ability to make these false histories credible has changed over time, as, for example, disseminators learn to use new media better. 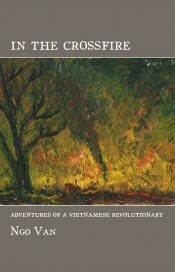 A noteworthy learning experience of this type occurred for American power brokers in relation to the Vietnam War, and a perusal of Ngo Van’s In the Crossfire, newly translated from the French, an account of the author’s years in the Vietnamese resistance, gives us a reminder of this. Compare the famed Vietnam War photos of a little girl, half naked, running from a napalm attack, with the Abu Ghraib prison photos. The little girl’s photo was taken for the Associated Press and won a Pulitzer Prize. The Iraq images were taken by a female M.P. in the prison, though eventually they were shown on 60 Minutes. Note the difference. In the 1960s and ’70s, even while the U.S. media largely parroted the official line on the Southeast Asian war, it did occasionally allow reporters and, more frequently, photographers to present what was really going on. Our mandarins saw what a mistake this was, since these glimpses fueled dissidence, so in our country’s current foreign adventures in the Middle East, it has “gone dark,” in the parlance of TV spy shows. While during the war, Americans were allowed some in-ing of the doings of those fighting the U.S., they generally had no knowledge of the long roots of the conflict. What Ngo [Ngo is his last name] establishes first and foremost in his autobiography is the longevity, strength and indomitable spirit of the Vietnamese people in their fight against the French colonial state, the greedy landlords, and the rapacious owners of factories and plantations. During this time, Ngo and his comrades, between frequent bouts of incarceration, energetically proselytized, formed labor unions, coordinated strikes, published underground newspapers, and translated incendiary works (such as those of Lenin, but also of outspoken anti-imperialist French novelists). When the time was ripe, after Japan, which had taken the country from the French, surrendered, and there was a temporary power vacuum, the dissidents supported an attempt to institute a workers’ government. The story of Ngo and his fellow revolutionaries is daunting. The minute they get out of prison where they have been beaten and starved by the “French, they plunge right back into illegal activities. It also supplies background than shows the revolutionary movement in Vietnam was much broader and richer than it has been pictured elsewhere. The American left also learned from the Vietnam War, though this has been a more instinctive reaction than based on an assessment of its previous errors. While currently critics of American foreign policy condemn U.S. atrocities in the Iraq and Afghanistan conflicts, they do not support the fundamentalist resistance to the invasions either. This represents a turnaround to the position many took during the Vietnam War when they applauded the NLF, which was fighting U.S. forces, some going so far as to near deify Uncle Ho for standing so stolidly aagainst the American war machine. Crossfire is a major corrective to this earlier stance, indicating that today’s anti-war activists are more sensible in this respect than those participating in earlier protests who blindly identified with any group in the anti-colonial movement. As Ngo recounts, Ho Chi Minh and his followers were, like the many leftists mentioned earlier, who, enthralled by the Russian revolution, allowed Moscow to dictate all their policies. However, unlike, European Communists, who at least got their marching orders from the red source, the Vietnamese had to get it at one remove. The Russians told the French party what to do, and the Europeans gave orders to the Vietnamese, which meant, ironically, the Vietnamese Stalinists often had to side with their colonial oppressors, arguing, for instance, in favor of more taxes on the people (!) to support the French war effort against Germany. They even favored the forcible impressments of Vietnamese to serve as French soldiers or to work, in near slave conditions, in munitions factories. Needless to say, this hardly increased the Communists’ popularity, and led rebels like Ngo to become Trotskyites, identifying with the expelled Soviet leader not so much because of his views but because he was a rallying point for anti-Stalinists. The Vietnamese dissidents’ stance in the early 1940s was to reject the war tax and use the war, as the French were weakened, to campaign for independence and workers’ control. As it happened, the Japanese seized the country and continued the oppression where the French left off, but when the war ended another opportunity arose. At this point, Ho’s Communists continued with their alarmingly reactionary policies, blocking peasants’ seizure of land, for example, because they wanted to ally with wealthy land owners, and welcoming the French back with open arms, who they hoped would include them in a coalition government. Paired with this compromising attitude toward the elite was the Communists’ fury against rival revolutionaries, such as Ngo’s group, who, as hinted, given their more progressive stances, were more loved by the people. (In 1939, when the French allowed an open election to the Colonial Congress, three Trotskyites were elected while the Communist candidates were all defeated.) So, the Communists, who had no problem with the French coming back, hunted down and exterminated the native left opposition. The Chinese in the city had a saying, “Man doe gung chan dong mai jow you jow fai de.” (“When we smell the Communist wind, we have to run very fast.”) The saying indicated the dread we felt when we knew they were going to take over the country. The Vietnamese had no great love for the Chinese, and we knew we would bear a large brunt of the burden in supporting the country’s reconstruction. Now, if there was one thing the Communists were expert at, even better than at contorting dialectics, it was at squeezing money. Once the Communists came to power, the most deep-thinking Chinese, like my uncle, preempted intervention by immediately “donating” their goods and factories to the conquerors. Such people were given special consideration by the authorities. In the case of my uncle, well, he was an old man anyway. Those who resisted such donations had their enterprises seized while they ended up imprisoned or dead. But what about those, like my father, who could not give up as much as they were expected to yield? Father quickly, if grumbingly, turned over all of his property; but he would give little more because he didn’t have all the wealth, in gold or jewelry, they thought he had. During the boom, he was always expanding our noodle factory, adding sheds, workers’ housing and driveway. He kept returning his profits to the business. True, he was an old man now, too, but the Communists didn’t trust him and they were desperate. Like a handful of dusty, bruised grapes, he must go in the press. Father had to attend nightly self-criticism sessions. A young secretary from our factory, Hue, who never got the promotion father promised her, now accused him of being a reactionary and of having hidden gold. They kept this up for weeks, hounding him to reveal where the gold was hidden. Finally, he had a heart attack and entered the hospital. After that, they left him alone. Nhi was so traumatized by the death of her father, which came soon after, as well as by the killing of her mother, sister, and brother (in front of her eyes) during an escape attempt, that it wasn’t until 32 years after leaving Vietnam (as one of the boat people), that she decided to go back in summer 2010. Looking back on our visit after reading this book, I see that the country’s 1986 turn to Doi moi, the opening of the economy to foreign capitalist investment, is even less surprising than it was in China, given the Vietnamese party’s constant friendly overtures to capital and the French state at the end of World War II. Nor has its less-than-worker-friendly attitudes, ones Ngo exposed, changed much. One of the more graphic examples of this we saw on our visit was during a trip to the outskirts of Saigon to visit Nhi’s family graves. We went burdened with ghost shirts and ties, ghost dresses, and ghost gold bars to burn at the tombs. It was early morning, and at one side of the highway must have been 100 workers, who would take turns running across the traffic stream in twos and threes. We could see a foreign factory on one side of the road and the workers’ homes on the other. Not the biggest example of the government’s negligence, but the failure of the authorities to provide a crosswalk or pedestrian bridge testified (to me) how carelessly the workers’ concerns were treated in the rush to pander to foreign capital. As Ngo shows so well, we should have expected no less of this state, whose roots his vibrant, unsettling narrative lets us see as he rips aside the ponderous veil on which had been projected the country’s and much of the left’s nonfictional alternative history.